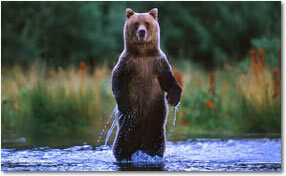 With so many tours to choose from, Anchorage is the ideal base camp for any Alaskan Adventure. Anchorage Alaska is a vibrant, eclectic metropolis with a frontier spirit, located in the heart of the great Alaska wilderness. Embraced by six mountain ranges and warmed by a maritime climate, Anchorage Alaska is alive year round with culture, adventure, recreation, and wildlife and sightseeing opportunities. Is your time at a premium? This tantalizing mini-tour takes you to the grand mountain that defines Alaska, and the abundant wildlife that thrives in Denali National Park. This tour includes two nights in Denali plus round trip rail in Aventure Class aboard Alaska Railroad. On this version of our ever popular Denali Sampler series of affordable tours, you stay one night in Denali, which allows you to explore a number of half day excursions.And like all our Getaway tours, you will be traveling aboard Alaska Railroad both directions. This tour includes one night lodging in Denali. For those who want to get the most out of just a few days, this is the trip to book, as it includes includes time in Seward, Anchorage and Denaly. This trip can booked either as a pre-cruise tour starting in Anchorage or as a post cruise tour starting in Seward. While similar to Pre/Post tour #2, this itinerary includes a night in Seward, which is handy if you want more time to savor everything Seward has to offer, including the vast number of day trips and activities, which aren't possible without the Seward overnight. See the National Parks by rail on this 6 day itinerary, which includes unforgettable highlights in Kenai Fjords, Denali National Park, and the vibrant city of Anchorage along the way. Don't miss this fabulous experience! The experience of a lifetime. This ten day adventure takes you to Seward, Talkeetna, Denali, Fairbanks, and Whittier. 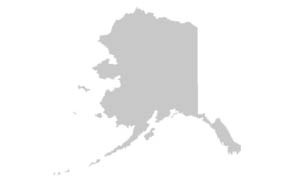 See all Alaska can offer... by daylight!